It’s official. The much anticipated, cross-Canada tour by George Galloway begins in Montreal Nov. 17. By the time it’s over, he’ll have visited 10 cities, bringing his message of free speech, free Afghanistan and free Palestine to thousands of Canadians. It’s a message Canadians need to hear, again and again, and we should be pleased that Galloway is demonstrably up to the challenge. Tour details are available here. The IJV is hoping to mobilize opposition to this conference and what it represents, and deserves the support of every Canadian who treasures the right to speak our minds on any topic without fear of repression. Another way of resisting attempts to restrict free speech is to promote and attend George Galloway’s speeches. 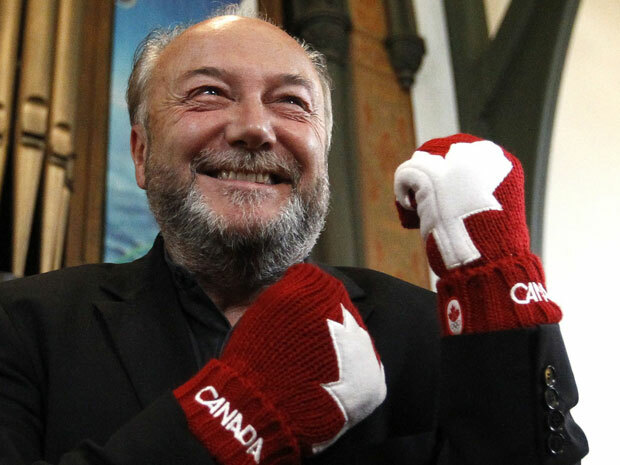 Between now and the time he sets foot in Canada, we can confidently expect there will be attempts to discredit Galloway and distort his message. Our support for the tour will not only counter these reactionary diatribes; it will help raise funds for the local peace coalitions and Palestine solidarity campaigns across Canada that are sponsoring Galloway’s tour. It is really important that more people see George Galloway when he comes to Winnipeg. Thus far I have not seen any posters for this even nor has anyone else that know of seen them either. I strongly encourage whoever the organizers are to notify rabble.ca, Canadian Dimension, and New Socialist as all these website have events links. Although I would have preferred a different night than Friday for a political speech, I certainly hope to see many citizens of Winnipeg to come out for the cause of Palestine and the freedom to speak for Palestine. Don’t hesitate to circulate this information widely. The posters are in production.